Hi Penny Zenker. Your host of take charge of your productivity. On this show, we host great authors, leaders and entrepreneurs to explore your greatest potential by tapping into the ten core elements of time and energy management. Sometimes I have been called the Queen of Perspective because I provide prospective. For every show, we bring in multiple authors with different perspectives. To simply how I came up with the ten elements that are required for quantum growth. I came up with a windmill as a metaphor. The windmill has a gear mechanism that works from within. The smoother and faster the blades turn, the more productive you tend to be. There are three segments, or blades that are critical. They are championship psychology, winning strategies, and sustainable results. Without all three of these, your windmill is underpowered. It will turn but not optimally. There are ten core elements that make up these three blades. Today’s topic is language. Language is one of the four core elements that make up our championship psychology. You will notice that we talk about language on this show twice as much as any other topic. That is because language is the most important ingredients in creating your championship psychology. After years of studying methods for balancing your life and creating increases for my client’s productivity. I found that mastering your language is the biggest driving voice beyond the quality of our life. It drives our emotions, not the words we speak out loud, but the language in terms of the patterns of thought that we engage in. The questions we ask ourselves. Our behavior stems from that communication. The quality of our language dictates the quality of everything we do. Our relationships and our ability to reach true success. Today, I am speaking with coach, author, entrepreneur and motivational speaker Tish Squillaro. We will learn 4 basic things today. The seven areas of head trash that could be holding you back. Tips on how to clean up your junk or negative emotions and why to hold onto that junk. Letting go of it, will dramatically increase your productivity and your success. Tish has more than 17 year’s experience in advising executes in planning, organization, and human capital allocation. Tish is the CEO and founder of Candor Consulting. She is a graduate of the Unniversity of Pennsylvania. Tish lives with her husband and two children in Valley Forge, Pennsylvania. Welcome Tish it is so great to have you. P: We connected on a really fun night. I can tell by your energy that we are soul sisters and as I read more about what you were doing, there is so much of a connection of how we think and present ourselves. When I heard the title of your book, I knew we were going to have a good time with this. What is Head Trash. The name of your book. T: Head Trash is something we all have. It’s an emotional way of looking at how you make your decision. Tim Thomas, my coauthor and I wrote the book out of stories. Working with people in business who suffered from not their intelligence disappearing but when their emotions would control what they are doing. And we put together the top seven. That we label Head Trash. Everyday emotions that are healthy when they are managed by you and become unhealthy when they impact and are managing you. For example: control. Control is important because it give you structure, confidence. But when it becomes an obstacle that stops you from having others help or thinking others views might be as important as yours, or delegating so you can get more done. It is a problem. It is no longer healthy. That is what Head Trash is. Looking at the typical emotions that we are all going to have and all should have to make us humans and not robots. P: In the self-development world, people who are really involved sometimes go over the top and don’t allow themselves to have those types of feelings. T: Head Trash is written with a sense of humor but a lesson. So when you read it, you will see it’s not to make you afraid of it. We have it. You will see it. It’s on the table. Something you can handle and manage. You better figure out what are your head trashes so you can be ahead of it. P: It’s a part of who we are. T: There are seven distinct ones. Not everyone has all seven. You will see that there might be one or two that really impact someone over what the other two might be for someone else. Not identical. P: Don’t leave us hanging. What are the seven? T: The first one is control. Then it’s insecurity. Arrogance. Paranoia. Anger. Fear and Guilt. If you are anything like myself you can live through any of those any given moment of the day. Especially if you have to drive and commute. There will be one or two that you might say to yourself, I see where that gets in my way. I need to fix it. It’s stopping me from moving forward. The book is about keeping yourself in motion. Or its making me make a decision I know is not right and I have to live with the consequences afterwards. P: A similar philosophy we have is with these emotions, it’s important to recognize it and feel it. The key is not to live in it. When you live in it that is when you have problems. It’s not healthy. It’s healthy to feel it but you need to manage it. T: We give you a lot to look at, read and understand. You must come with the acceptance and the willingness to do something about it. You really have to be open to it and willing to do something. I have worked with a lot of companies and senior executives who have a lot of responsibility but were not ready to do something about it. Nothing really changed. P: What makes us hold on to our trash? T: Sometimes we don’t even realize it’s the thing causing the issue. Many times, it’s easy to point the finger at others and make it their fault or come up with excuses or reasons why it’s happening that have nothing to do with you. We wrote the book because we were discussing a client that had a difficult decision to make for their company. We did everything right. He felt so as well. He was all set to make the decision and knew that everyone in the company was waiting for that decision to be made. They knew something had to change. And he never did it. He really suffered with having that. We then sat with him and said what is it? What is stopping you? Tim looks over at me and said its all in his head. Its the emotional barrier. Its head trash. It’s blocking him. I said, I love that term, we have to write a book. Three years later we did. It was a real life story. We saw someone who knew what he had to do but his emotion of his insecurity that others would feel that he didn’t know what he was doing stopped him from taking that chance. By doing nothing, he thought that was a good thing. P: Doing nothing is a decision. People need to know that. T: Typically it’s the wrong decision. Driving through things on neutral. You usually get left behind. P: It’s like a kid’s game: hot or cold game. What happens when you stand in the room and you don’t move? Or there is no feedback. So when you get closer to the item you are looking for in the room, then the other person tells you are warmer, warmer, warmer. When you move in another direction, you get colder, colder, colder. That is our intuition. If you stand still, there is no feedback. T: We call head trash is when you get stuck. You don’t do something you should do. You are not having that conversation with someone you should have. The book is written from a business perspective because I am a business consultant. We have gotten a lot of feedback since the book has been written. It’s a life lesson. You make decisions as a parent, a friend, a colleague, you don’t have to be working with them. You still get stuck. You can still see it. Once you start to understand and know what the issues are, once the trash is identified, it will start to allow you to figure out what is next. As long as you are going that next step and taking that movement, you are gonna go somewhere. P: Then you get that feedback. I think strategies are cross contextual. There are so many things that we do that we have strategies in one area of our life and we don’t think about applying it in other areas of our life. It’s important to look at strategies and see how you can bring those into other areas. That might be also how people deal with their head trash. If they get stuck in decision making in one area how can they leverage off of a different decision in another part of their life. T: They should look at the why. Many of the emotions that we have as individuals start very young. They say at 9 or 10 your style and fears and your challenges or your confidences start to form themselves. I joke about that with many clients. Many times I feel like I am with my 9 and 10 year old. It is about their emotions saying, no, I don’t want to do this. Its not practical. I say you may want to but you can’t. Things aren’t that black or white. I do think we carry that through our lives and relationships and our work life. It becomes part of how we make our decisions. We do look back to see where these have come from. It’s easier to unravel those emotions. They are emotions. It’s not a technical term. P: It’s my belief that once you get the learning from the event, then you are allowing yourself to let go. The only reason we hold on to anger sadness, hurt, and guilt, because we haven’t gotten the learning yet. We haven’t met our needs and you probably heard the expression we will re-experience different types of situations. T: Also, I have witnessed having really capitalized on the seven drives, those challenges is that people sometimes have a misunderstanding of what is actually impacting them. I will tell you a funny story that happened to me. It’s good to hear it when someone has lived it. Writing the book with Tim, I had my own preconceived notions of what my head trash was. I have all seven. But not all seven get in my way. I thought there would be one or two for sure would be mine. We came up with something called the Head Trash Index. Your listeners can take a free online survey its HeadTrash911.com. There is something called the head trash index and it allows you to really look at the seven impacting you the most. T: We also created a workshop for people interested in doing it for a full day. You learn what to do with the head trash. When I took it, I assumed what mine would be it I was off. The two head trashes were anger and guilt. I said out loud because that is me, that is not right. I don’t have anger and guilt. This assessment tool can’t be right. In the room were people who knew me well and said, oh its right. My husband was there. He gave me an example of exactly what I did that falls into place of those two trashes. He made me realize that sometimes we have preconceived notions. I thought control was one of mine. But it wasn’t. Controlling is a different format but anger is the inability to separate your immediate need to react and respond with impulse to do something. Sometimes it manifests as yelling or body language that sends a message. Or it could be I need to tell you what I am thinking right now. That is not always the best approach. When you look at these head trashes, the books gives examples and types of ways it will manifest, you may learn more about what one of these emotions are that you have every day. P: We see ourselves differently. We don’t always immediately understand what the root cause is. I am all about cause and effect. Understanding and getting to the root cause of something. If you want to fix it, you have to go there. We have to take a break. Stay tuned as we get into more depth about the language and unconscious impact that you are having with having head trash. And how you can get more productive by releasing and managing it. Welcome back. We are speaking about the junk that is holding you back. I am speaking with Tish Squillaro. P: Just before the break, we were talking about cause verses effect. Getting to the root. To summarize, you mentioned that getting to the root cause isn’t always what you think it is. Do you have anything to say about getting to the root cause and how people can appreciate where they are looking more at a symptom than a cause? T: It’s about asking yourself some hard questions. What is stopping me? Why am I allowing this to happen? If you just asked yourself those questions or at least one of them as you are approaching an important decision. Many times we are very easily distracted by everyone around us. I do think that if we ask ourselves, hold on, I am a believer of writing it down. We have the ability to be virtual, but there is something about taking pen and paper and writing your thoughts down. To me, that is what I do. I try to break down the real reason that I am doing what I am doing. And it will give you a road map of some sort. It will. Once you realize what it is, then I would try to look at the seven to see if one of the emotions sound like that. If you get a chance to get the book, we do give you examples of how to see these head trash moments manifest themselves in a relationship or situation. I immediately know that there are certain ones that will impact me differently. Then it’s my job to say, how do I change that? People get more confident and secure once they know what they are up against. It’s the unknown that I have learned from coaching folks. Those elements of the uncertainty, the after effects. If you don’t know where you are going it’s harder to say, I can do this. Once you know, it helps. That is why we wrote Head Trash. We all have it so let’s just deal with it. P: How do you know how bad is it? How bad do I really have it? T: The index is one outlet because it gives a numeric score. We called it the severity scale. We do give some guidance. The harder part of lack of making decisions, it’s not the immediate thing you did, because that usually goes by really fast, its living with it. The consequences. The after affect. The results of how it impacted everything around you. That is where most people get the most discouraged. Or where they feel the most pain. Living through the non-decision or bad decision they made. Not making no decision. P: When you are up against making a decision, when you write down things about the decision, and think ok, by not making this decision, what are the consequences? What are the results I am expecting? What are you preventing? Go through these questions to understand what is really the end result of the decision. What are you looking to achieve? How is it protecting you? Its a decision not to make a decision. We think its protecting us from fear. T: Many times I have to say to myself is what am I trying to do here? I can get caught up in the emotion of doing a lot of things and I have missed the one thing I am trying to do. For example we are going through the babysitting moment of our life and I can apply head trash to that. As I meet different people and think about them caring for one of the most important things in your life, you lose sight of what you are looking for. Do I want someone who will entertain them and be there friend? Or someone who will help me as a parent and will follow the rules? You start to conform the people you meet into the role. My husband and I had to write down, what are we looking for? I was hesitant on making a decision on who. We had to put a line in the sand and make a decision and make one. T: What do I really want in this person? Sometimes we don’t have good expectations set and boundaries for the person and it fails. I think that is how people should look at things as they are about to make a decision. You have to figure out what gets in your way of making a solid good decision. Here is an important one and it took me sitting down and writing down what I really wanted out of this. What would be right for the situation based on the decision I want. I went through the list again. It became easier. P: All of that comes down to one word: Clarity. I have found that leaders are having trouble engaging their work force and it’s because they don’t have clarity in their own strategy and vision and they are not able to communicate that. I just watched Simon Sinek the why guy speak. When people connect to that WHY, they will be more engaged. By getting clarity on where you have your head trash, is also going to help you take that next step to progress. That is really cool. Let’s say our listeners have taken their index and have gotten their results, and they have reviewed it and read your book and understand where their mind clutter is, what do you think is the relation to clutter in our environment that we create? T: You kind of live the life you have created. If you created a cluttered non clear dramatic complex environment you are probably living that every day. You will have a lot of that in your mind. Simplify your life. I do think that life is complicated and there are many situations that are dealt to us that we can’t control. But you break down the areas in which you have most comfort and the ones you don’t. Manage what we don’t have comfort. Those are the ones that clutter you the most. Its clarity and alignment. If you are trying to get clarity you have to figure out where it aligns into where you are going. Clear vision is key but also articulating the alignment so that everybody sees it. Many times the CEO or a leader has clarity but they haven’t been able to communicate it. That is the vehicle to get the alignment. The need to know how to articulate a vision a message, a map is just as important as having clarity. People that struggle with being able to communicate their message, can’t get it out in their head out to others. That is the part where you have to find the head trash. When we look at head trash, we look at it as the interaction with others as the thing you are going to use it for. Whatever you do, you are going to have to interact with another human being. P: We are going to shift a bit and talk about productivity. Head trash has impact on productivity. 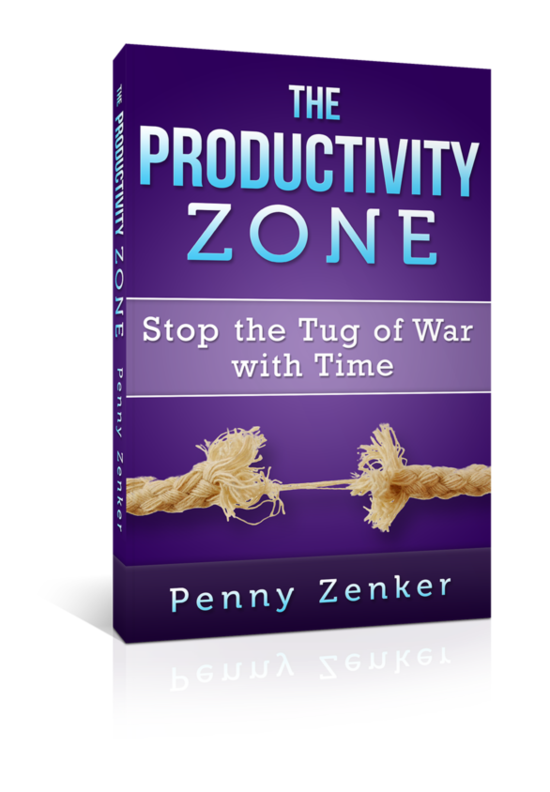 I ask every guest this: how do you define productivity and why? T: For me, I think its motion and movement. If I am on the move, always doing something, figuring out how to keep moving, I will be productive. Productivity is described as thinking things through and analyzing pros and cons and putting together a road map and then acting. For me sitting still and thinking something through is not productivity. P: You feel productive. It is a feeling. You can also measure it by output especially if you are producing widgets. You feel more productive when you are in motion and movement. What are the factors that are the greatest impact on your productivity? T: I always start out my new year with the same question for myself. What will I do this year to do better than last year? Being in my own business, I only have me to talk to. I try to think about what I will do to be productive. I have my mechanisms of having to be out meeting with people. Seeing and talking to people. My drive is really interaction. I feel that if I am productive, my first two months like that, the rest of my year always unfolds. If I am not out doing those things, and Mother Nature did not work to my benefit by having storms and things to keep me steady and inbound, I started to panic that my productivity for the full year would have been impacted because my plan is to be on the move and engaging. I look at it each year with how do I get myself out there? Writing a book was an element of measure for my productivity because I can’t reach as many people individually as I could with a book. If people are interested to learn more they will buy the book before they seek me out. P: Interacting with people and getting out there in the beginning of the year is a measurement for you, is there an additional x factor for you? T: I think my self-confidence is boosted in that three months that I am using that plan. I see traction. I find new people that are very engaged by what I am doing. I have new clients. Those are the x factors for me that I know as reassurance that we are on track. T: From a personal standpoint, I can live well with change but there are certain things about change that I don’t like. I am an old soul that likes longevity. I have long relationships. I don’t have a lot but they are long. I am loyal to the relationships I have. I will get my hair done at a place that is very far away from the house and go to the same person because for 17 years, we are friends now. I am sure there are tons of places near my home. Instead, I drive 45 minutes, park, come back, and I am gone all day. When I have to go through change, I usually do it very drastically. I will do a complete redo. For this year I did three things at once that were to me my reboot to change. I have changed my phone. I replaced my nanny. I got a new car. They may not sound major to people, but personally when you go through that much change in that short period of time and everything is new to you, and you are an old soul that was a lot. I do everything in 3’s. That is my x factor in my personal life. P: How important is teaming your head trash to our productivity? T: anything that slows you down. Since productivity is movement. I do think that our head trash, no matter which ones, do slow you down. T: The second thing is maturing. We should grow all of the time. By having head trash sometimes we don’t allow new. That is why I like to change a few things to make me feel like I am going through a growth spurt. Head trash could be fear, afraid, insecure and not comfortable with change. That could hold you back. P: I agree that growth in itself creates traction. As long as you are moving, you are learning and growing. Imagine how much flexibility you give yourself to instead of failure. Faith verses failure. Faith is knowing you had an experience because there is something to learn from it. T: You should also give yourself room to fail. My ability on failure is its going to happen and I am going to make mistakes. I make them more than I like. I give myself the one day rule. I can feel sorry for myself or be mad at me or another for one day, then I have to wipe it away. That doesn’t mean I am going to forget what happened. I don’t let it impact me more than 24 hours. That has been a really good boundary for me. I have had a lot of change. A couple of businesses where I have had partners. They live in the past and they still are reeling over something that happened 20 years ago. So, I found a rule for me, it doesn’t mean one day is enough for everyone. P: Love it. The one day rule. I like it. I don’t have a rule around that and I think that is so interesting. It’s good to think about these things so we can set up our environment and create strategies for success. T: We are the only ones that are going to help us. At the end of the day, we make our own decisions. We can only control us. Why not give us some tools to get through life which is completed and challenging and happy and joyous but very hard. P: Let’s talk more about that after the break. It’s time for our final break. Welcome back we are talking with Tish Squallero. This is the last segment of this week’s Take Charge of your Productivity. P: We have had a fun discussion so far. We have been looking at our own self talk and the seven areas of head trash. We were just talking about productivity and how we could increase our productivity by dealing and understanding where having these areas of head trash. You talked about some tips and tricks. Do you have any you can share? T: Head trash? Maybe it’s something you do have. Headtrash911.com it’s a website that offers information not only about head trash but to take the index. It shows videos on how to visualize the seven elements. The book itself has a chapter for every one of the seven. In each we have tips. We have suggestions and we have things to work through for you. Feedback has been great. People have said its simple and you walk away with everyday tools. Once you find your trash, you might want to see if you can pick up the book online or in a book store. For here, I will pick the top two that I find that people as we have done the indexes for over 1700 people, fear and insecurity are the top. Here is a tip for each. So on fear, which is the concern we all have of being wrong, not knowing enough, afraid to do something that you are not even sure about yourself. Those are forms of fear. They are healthy because nobody should walk into a situation that they have covered. It’s ok. The one thing I do is always remind people about fear. Something you see every day when you are actually going into a situation which is caution. We try to give you a replacement emotion. Let me show you where fear becomes head trash and you can replace it with something healthy. Caution is one of those for fear. When you see a caution sign about proceed with it doesn’t say stop, don’t move, do nothing. That is a whole other sign. But when you see a proceed with caution sign, it is recommending you should move forward. You should move ahead. We are suggesting you do it with caution. I would say if you are heading into making a decision, and you are afraid, it’s ok. Break it down into small doses to see what you are afraid about. What are the major impacts if it doesn’t go well? Address a couple so you are prepared. Break it down. There is always a way to figure out how to get from point a to point b but you have to be willing to look. P: One of the four areas of championship psychology is language and this is a great example of how language makes a difference. Fear in itself, you tighten up. The word makes you feel like a shot would. Just feeling the body change the way that it feels when we talk about caution. When we use these words inside our head, the voices in our head, when you start to guide it and give it that language and say let’s proceed with caution. Just using the words themselves will change what our response is. T: It’s that communication part. After you clarify and you are ok, you still have to get it out there. The second is insecurity. We say in the book it is one of the most challenging to manage because it’s not only the voice in your head, it’s a negative voice. It’s constantly beating you up. You are not good enough. You don’t belong here. Nobody likes you. It doesn’t give you any confidence. You have to overcome the voice with another voice to say, hold on here. I think one of the ways in which we have found to help folks who have an insecurity is to get them to ask themselves what is it that you don’t think you can do? What is it that you think they are really saying about you? Why do you think you are not good? The funny thing is most insecure people are very successful. They have their life together in a dream like situation. They have accomplished a lot. You would think insecure people are held back. They are not. Their mental balance is off. The imposter theory. They are waiting for something to tap them on the shoulders and say, you don’t belong here, you need to leave, you don’t know what you are doing. It’s that fear of questioning, what don’t I know? As you start to rationalize that you can’t come up with a good answer, you might say, wait a second, am I just doing this to myself. As a consultant, you are always selling your abilities to people that don’t know you. There are moments that I say to myself, what can I do for this person. But then I quickly remind myself that I am in a position that I have helped so many other people and I am objective, I can look at something unemotionally. Find out what that thing is that you know you are good at. P: What I do with people to help them get over that imposter theory, is to create an at a girl file. Something you can look back at in a moment of decision or insecurity to combat that. Look back at the great testimonials or comments that people have made for you. Put that email that somebody sent thanking you for the impact you made, put that in a file somewhere. T: I have my own person who when I am feeling that way, when I call them, I know that if I talk with them, afterwards, they reminded me how stupid I was to think that way. I call that person every time I feel that way. P: What a great tip. Another last thing that we do sometimes is to give an assignment in the beginning when I work with someone. I have them make a list of 50 great characteristics about themselves and then list one reason why they put that. That’s really an eye opener. They eventually grow into that list. I do it with my kids. I have them give me five great things about them. It’s fun. T: Kids today are challenged in maintaining the lack of entitlement that is there. The insecurities because I do see with my own kids they grow up a lot faster because they must. My husband and I are not home all of the time. P: You were talking about how it holds you back in decision making. In leaders, it contaminates the team and the family when there is head trash. It really is such an important element to get to really understand where your issues are and really be able to manage them because of the impact it is having on everyone else. We leave a legacy every day. We forget that. Every day, how are we going to show up? That is directly related to the head trash we carry around every day. T: That is why people who are in leadership roles who didn’t start out with that as a goal. But it evolved. Transference where they transfer their style, beliefs, fears onto those they are managing. It just does. You don’t even know you are doing it. Then you start to wonder that your teams are having the same thoughts that you are. You are actually transferring them so it is important to think about your head trash professionally and personally. Do you bring it home with you? P: One last question. I noticed somewhere that I saw you talk about hyperactivity verses productivity. We said before, everybody is busy. Competitions on who is so busy. So many distractions with cell phones and people being able to get ahold of you. That struck me when I saw your statement about hyperactivity verses productivity. T: People think that if they are working hard and a lot are working smart. Working smart is a different approach to things. And productivity is motion but let’s not make unnecessary motions just to be busy. Busy people are not always effective. But if there is no end result that is produced by their busy ness are they being productive. I do think that our emotions are sometimes bringing us that hyperactivity of thinking we are doing this. Emotions can flood how you think. I also think people don’t set realistic boundaries for themselves. We talked about this earlier. What is success? Are you looking at it for who you are and what you want or are you comparing yourself of those around you. If you compare yourself, that is a much harder goal to maintain and you probably won’t get it. If you don’t achieve that goal, does that mean you are not good enough? Are you hyper activating yourself to a goal set that you will never meet? It’s like being on a treadmill where you don’t arrive anywhere new. Then I think all of those emotions are hit where you start to feel not good enough. Those things come out because you are not getting the mini wins and progress that you should but you have been busy doing stuff. P: I believe that my book coming out called Compared to What? Is exactly about that. There is a positive competition and negative competition. Our culture is very much about competition and where it destroys an organization. Where we pin employees against each other. Unless its collaborative competition and you perform as your best as a team. You set a baseline and say this is where we are performing at today. Our goal is to get more productive and get to point 2 as a team. For us personally, its the same thing. We really want to be able to set that baseline for ourselves and where we really get traction and progress is where we see ourselves move to the next level. I do believe it’s good to have role models for us to look up to. Compare yourself to yourself. T: Competition is about getting what you need to get done. It’s more about compromising. I remember working with an entire sales team. Parts of the group say it’s about getting the deal done. Part of the group is focused on the win. Sometimes people measure themselves by having a lot of money. If you are rich and you have a lot of money are you filled in the other aspects of your life? I don’t have a lot of money I can’t judge. But I know a lot of folks who do have money and they still are questionable. Their style is always win, win, win. Where is the pause to joy? What did we give up to get that? When folks are looking to address head trash and they are setting their goals and figure out what is stopping them. Make sure where you are going is also healthy. P: Thank you so much for being here today. This was a great show. Go get Head Trash the book. Tish is going to give us that url that you can go get the book and also take the index so you can start thinking about how you can eliminate, reduce or manage your head trash so you can get more productive. T: www.headtrash911.com Thank you Penny. This has been a great discussion.